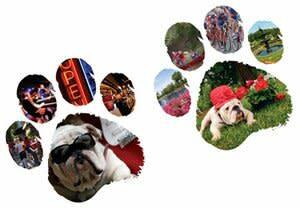 What&apos;s your favorite spot in Athens, GA? Terrapin? Five and Ten? Memorial Park? We all have our favorites and now we all have our chance to vote! Georgia Magazine is currently asking for submissions for favorite people, places, and things all throughout Georgia for the 2009 Readers&apos; Choice Awards. While we all agree GA has it all, we&apos;re calling on all Athens lovers in particular to cast their vote for top spots around the Classic City. Once you submit your favorites, you are automatically entered to win a grand prize of a weekend getaway for two. There will also be four 2nd-place prizes of $100 each. So here&apos;s your chance to have a say in what Georgia Magazine features about our city! Click here to begin the form. Also, if you vote, leave a comment below &amp; let us know what you selected.